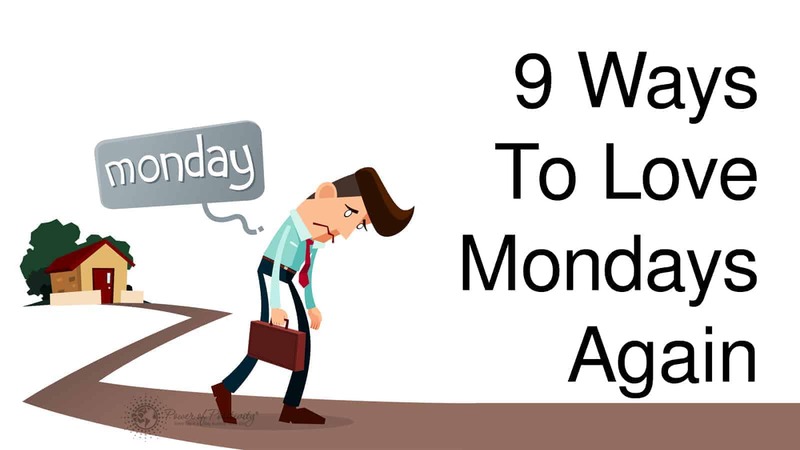 We’ve all been there…dreading Sunday nights because we knew what day came next, looking at the clock on a Monday afternoon wishing it would end, and counting down the hours until the weekend arrived to save us once again. Do you see what an unhealthy cycle this can become? If we always wait for something to come along to distract us or better our lives, we can’t ever fully appreciate the present. With this in mind, stick with us as we list a few ways to make your Mondays (and life in general) something you can look forward to. 1. Reduce your technology use on weekends. Have you ever noticed your days fly by more quickly the more you use your cell phone? It’s easy to give hours away to social media, emails, texts, and calls, because we get to wrapped up in the virtual world that it becomes hard to pull away. Not to mention, numerous studies have found a strong correlation between higher technology use and poorer health. So, try to set aside specific times to check your phone on the weekend, so you really feel rejuvenated when it’s time to head back to the office on Monday. On weekends, instead of spending your time on social media, spend your time socializing in nature. Take your buddies, your family, your dogs, whoever, and just relish in the simple pleasures that the wilderness provides. You won’t find a connection to the Internet here, but you’ll find a better connection with your soul, and that’s what really counts, isn’t it? 3. Use your weekend time to connect with loved ones. As we hinted at in point 2, try to utilize your weekend as much as possible to spend time with the ones you love. During the week, you probably have your hands full between working, school, kids, errands, and other personal responsibilities, so why not set aside some time on the weekends to spend with those who really matter? Our lives have enough disconnection already, so the least we could do is to show those we love how much they mean to us while we can. When was the last time you got a massage, pedicure, facial, acupuncture, or something else that made you feel like a million bucks? Use the weekends to catch up on self-care and treating yourself how you truly deserve. Out of all the people in your life, the relationship with yourself will always be the most important one, so don’t allow yourself to fall into a state of self-neglect. Weekends should be used to unwind and destress from the work week, and a little pampering will do just that. 5. Lounge around the house without feeling guilty. Contrary to what society likes to push on us, we don’t ALWAYS have to be productive. We don’t always have to be working, giving a corporation more profit and more success, and slaving away for someone else. We don’t even have to always be slaving away for ourselves, if we own our own business. Use your downtime to truly relax, and forget about outside demands for a while. The world will still be there when you get back from your much-deserved time away, so learn to veg out a bit without feeling guilty, or like you owe someone something. 6. Don’t work on the weekends. Don’t feel tempted to check emails and answer phone calls on the weekends, unless you absolutely have to for work. We all need some time away from our obligations, and Mondays will seem a lot more enjoyable if you’ve had a whole two days away from the daily grind. We have so much to do already in life that we don’t need to add on anything else to our list of responsibilities. Allow yourself ‘you’ time, because you deserve it. Use your weekends to experience a new activity, whether that’s taking a yoga class, going skydiving, or something else that you’ve always wanted to do. Then, you’ll have some interesting stories to share with your coworkers when you head back to work on Monday, plus, you’ll have some amazing memories from the weekend. 8. Wake up to watch the sun rise. We all usually look forward to the weekends for sleeping in, but when was the last time you woke up to watch the sun rise? Waking up before the world gets too noisy and just giving into the moment as the sun appears over the horizon will help you to keep a perspective on what’s truly important in life. We get so lost in the maze of life trying to be something and accomplish something, that we don’t give enough time to just be what and who we are now, and enjoy life for what it is. 9. Don’t schedule too many things on the weekend. Also, try to keep your weekends free of too much responsibility. Just go with the flow, and save the errands for the workweek. Relaxation should be the only thing on your to-do list for the weekend!